Café Scientifique is a series of informal discussions connecting research to important issues of interest to the community. Enjoy light snacks and refreshments while engaging with cutting-edge, award-winning researchers from Simon Fraser University’s (SFU) Faculty of Science. 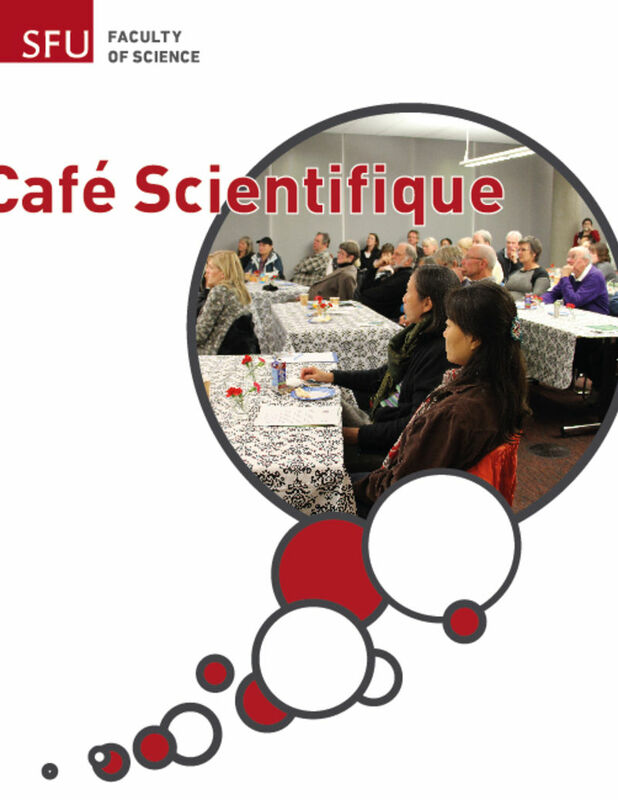 On May 9, 2018, the Faculty of Science, in collaboration with the Burnaby Festival of Learning, will be hosting a Café Scientifique session at the Burnaby Public Library. The prominence of sport in society and the increasing availability of sport-related data provide new opportunities to carry out sports analytics research. Computational statistician Tim Swartz will address how he has used analytics in dance, soccer, hockey and baseball. Health research has traditionally focused on how genetics, current environment and lifestyle influence the risk of disease. However, Julian Christians will highlight how early life environment, and even the preconception environment of the parents, can affect adult health as much as genetics, adult environment and behaviour. Angela Brooks-Wilson studies the health and lifestyles of 700 exceptionally healthy “super seniors”. This group, aged 85 and over, has never been diagnosed with the five biggest killer diseases (cancer, dementia, diabetes, cardiovascular disease or major lung disease). Find out what these seniors have in common and how you can be involved in the study.